If you are interested in starting your own show on the Internet, you'll need to put together the best tools for your web show. These tools include both hardware and software that you can use to create and edit, publish, and distribute the video throughout the Internet. Creating a professional video of yourself providing commentary or performing interviews isn't terribly complicated. If you are interested in eventually doing professional work, it may benefit you to take a couple of classes in photography and videography so that you understand how lighting, camera angles and other technical aspects of capturing video work. However, as an independent web show host, you can easily learn everything you need to know about videography by reading a book on taking videos and photos. The basic tools required to capture excellent video for your show include a quality digital camera, lighting equipment, sound equipment, and a good studio set. The single most important tool that you'll need for your web show is a high quality digital video camera. According to the editor favorites at CNET, the top digital video cameras that have all of the features you'll need to produce a high quality Internet show includes the following. 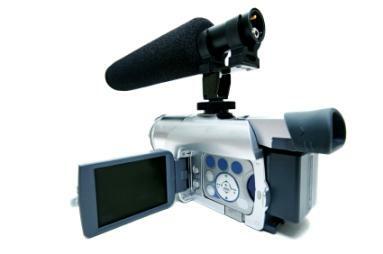 With a digital video camera, you can plug in a microphone kit that will capture crystal clear sound for your web show. Typically you will only need one microphone for yourself, but if you intend to do interviews then you'll need additional sound equipment such as a boom microphone kit. A microphone kit, such as a boom microphone kit or a wireless microphone kit will provide you with more focused and clear audio. One example of such a kit is the Amplivox wireless lapel microphone kit. For more professional sound equipment, another company that produces high quality sound equipment is Audio-Technica. When you've purchased your video and sound equipment, you are ready to set up a production studio. This doesn't have to be a state-of-the-art studio. The basic requirements are a good stage with a high-quality picture backdrop, and excellent lighting. You can print your own backdrop from a site like Flickr and then printing or ordering a poster-sized copy of the image. For good lighting, a good halogen lighting kit is all you need, such as this JTL DL-1000 kit from Amazon. The next stage of producing your web show includes editing the video, publishing it online, and then promoting it throughout the Internet. After you've captured raw video and audio with your equipment, the most important step is to professionally edit the video to remove mistakes and leave only the most interesting content. There is free video editing software available such as VideoSpin 1.1 from Pinnacle Systems, or MS Movie Maker 6 which comes bundled with Microsoft Vista. while these don't offer the same level of features as the professional editing software, for many users it will do everything they need. In addition to these software packages, Mac users prefer using the powerful video editing software offered by Apple called Final Cut Studio. Additionally, don't forget to promote it on social networking sites such as Twitter, Facebook, and Tumblr. Getting started producing an Internet web show can be very exciting. The potential to become extremely popular is enough to motivate a number of independent producers to invest a good deal of money into the necessary tools to create a show. You don't need to spend a fortune to grow in popularity, all you need is to use a fair amount of creativity in making sure that your content is different, unique, and intriguing. Once you start to draw a crowd through your promotional efforts, your success will snowball from there.